I tend to think that it's better to regret what you have done than what you haven't, and after weighing the pros and cons I've set the wheels in motion. On the 1st of October, 2016 my eenmanszaak was born at the Chamber of Commerce. 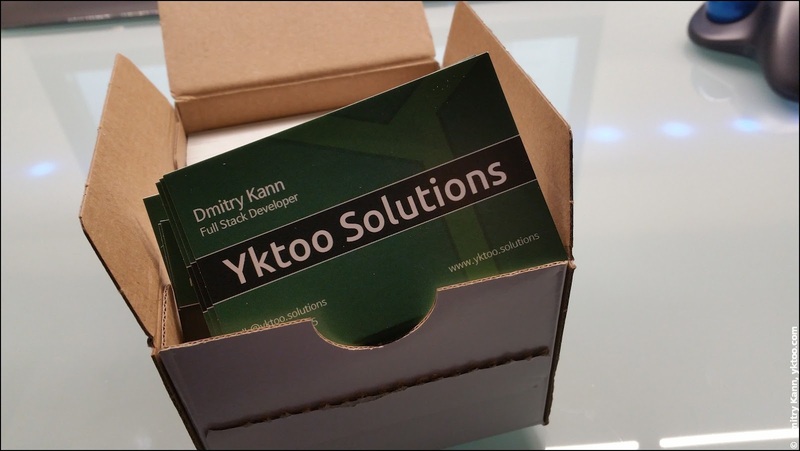 The delivery proved nice and easy, the newborn bedrijf has been christened as Yktoo Solutions. In general one can pick any name for their business, provided that it isn't misleading or repeating any of the existing ones. An example of a misleading name is one that is based on a name that isn't yours (like "Johnson & Sons" if your name is not Johnson) or misrepresents the size or industry of the business ("Paradise Cleaning Industries" for a private house cleaner). My company's name was totally alright; the word solutions is very common in IT consulting. I've also registered the domain yktoo.solutions (many people still get surprised that such a TLD exists) and developed a simple website for it. It's nice to cherish and nurture your own newborn business. It was about the same time that I began learning about the nitty-gritty details of entrepreneurship. Welcome to our seminar! I hope that you all will soon pay a lot of taxes. Because that would mean you earn also a lot. These sessions provide details on such topics as types of taxes, how to declare them, how an invoice should look like, what expenses you are allowed to deduct from your revenue and on what conditions (e.g. your Internet bill, private transportation, clothes, office equipment when working at home), what tax benefits a small business is entitled to, how not to violate the Wet DBA and so on. The Dutch Tax Office even has an own YouTube channel. 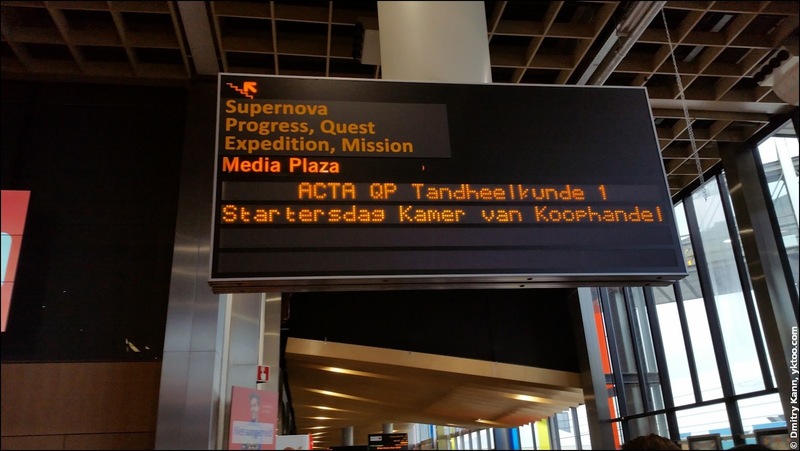 Every few months the KvK organises a free "Starter's Day" (Startersdag). Besides the KvK and the Belastingdienst many other companies present their business services: banks, insurance companies, web design studios, mobile application developers, payment providers etc. 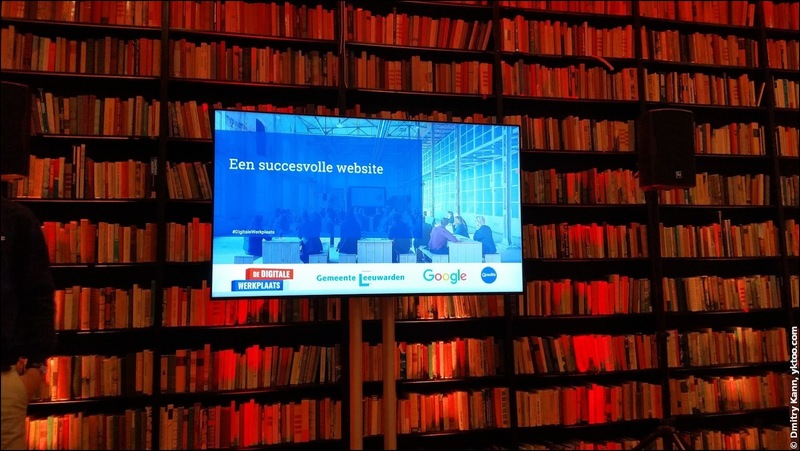 Last November I've attended one of such events in Utrecht. 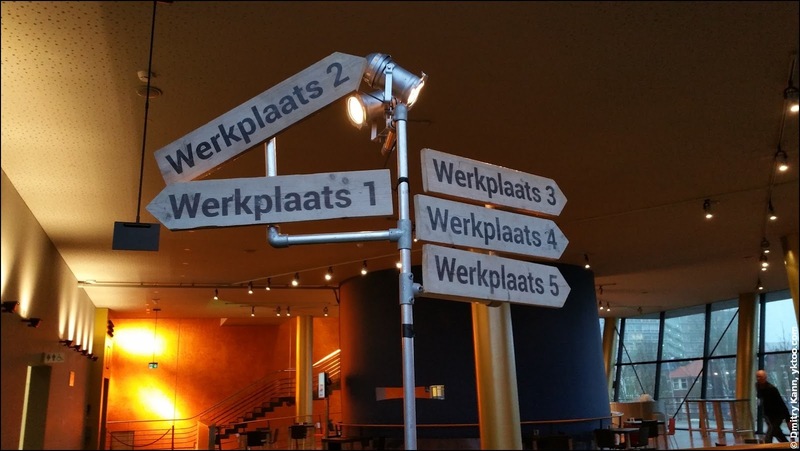 And in December I was invited by Google to another seminar called "The Digital Workplace" (De Digitale Werkplaats). 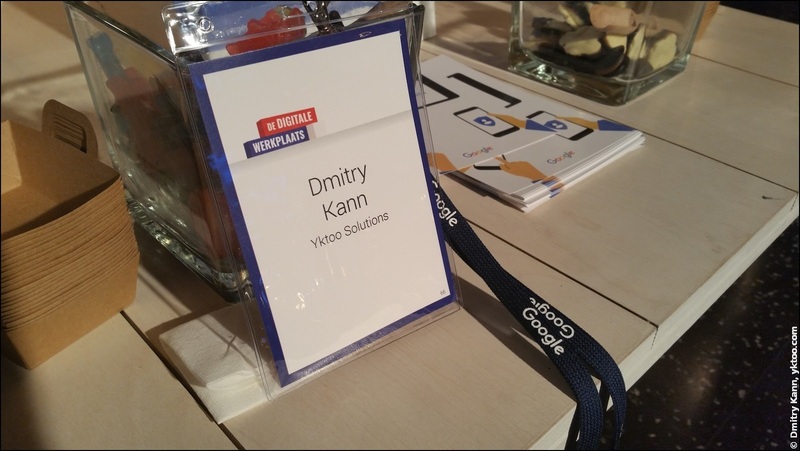 Google's Digital Workplace: participant's badge. The company puts a lot of effort into promoting "search literacy" and, of course, their advertising services. There were a number of lectures on various subjects: how to build website navigation in the right way, the effective use of the Webmaster's Tools and Google Analytics, how to advertise etc. That all in Dutch, too—the speakers were Dutch Googlers who came from their development centre in Dublin specifically for this event. In Holland it's quite common to outsource accounting to a professional or use an online accounting system. According to statistical figures, 15% of freelancers fully outsource their financial administration, 51% make use of expert assistance, and only 34% do their reporting themselves. Moreover, almost a half of entrepreneurs are using online accounting tools. In other words, it's a highly competitive market, and accounting bureaus and software makers often organise learning events for their potential clients. Which is a good opportunity to learn details and understand the choices that you have. There are also a number of organisations representing the interests of zzp'ers, assisting and consulting them. ZZP Nederland with 40 thousand members (including Yktoo Solutions) is perhaps the biggest one. For only €20 a year you get access to their knowledge base, model contracts, help desk etc.